Mark Twain: Great writer, poor quail shot. HISTORIAN’S CORNER: MARK TWAIN, THE "PUNK SHOT"
I’ve shared the following quote from H. L. Betten’s Upland Game Shooting (1946) on the blog before, but not as part of the Historian’s Corner. It definitely bears repeating! 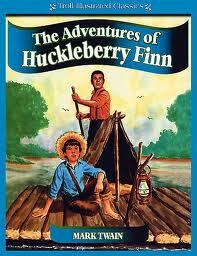 Everyone knows Mark Twain (Samuel Clemens) as the renowned author of Tom Sawyer and Huck Finn. One might suspect that, with Mark Twain being from the south where bobwhite quail were abundant in his days, he would most likely be a proficient quail hunter and maybe even a crack shot. Let’s just say there’s some evidence to the contrary. Some years later when Samuel Clemens (Mark Twain) returned to Virginia City after becoming world famous as a literary giant, his old boss, Sam Goodman, proprietor of the Territorial Express, arranged a quail hunt for the former reporter. Now that is classic! When I read this, I must admit I got a real kick out it. I hope you did too. I enjoyed it both for the little-known historical information on Mark Twain, but also for the praise to sage grouse, one of my favorite game birds. Mark Twain. 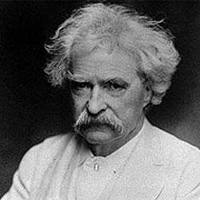 If you were a lousy shot like Twain, you just might be wearing that scowl too. I’ve sure had my days!